It’s a delight to admit I was wrong! 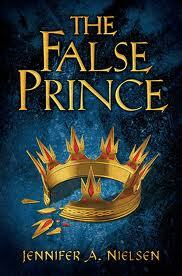 I had concluded that because of the intensity of Book 2, The Runaway King, I would not like this one, which is Book 1. However, since I had already ordered the book from the library, I decided to take a quick peek… and I was hooked. I cannot explain what it is about the writing style in this children’s book, but from beginning to end, it is impossible to put the book down. I don’t like fighting, nor scary things, and yet, something about this book works, despite some of those elements. The writing is clean, crisp, dramatic, and very easy to follow. I think one of the appeals of this children’s book is that the hero is so heroic and the bad guys are so evil. It’s so black and white. I picked up the book to read during one of the many tumultuous events in the news, where I felt helpless as I watched humanity destroying itself. Reading the book was like a balm… you could count on a rescue, on a positive outcome. The book is best for older children, at least 11, if not 12 and up. I wouldn’t limit this children’s book to any gender; while the hero is a boy, he has a great ally in an extraordinarily brave young lady. This powerful children’s book offers a picture of strength and determination, and very likable heroes. It’s nice to have no grey areas…good is good, and bad is bad, and that’s that!